Where were the angels when God created the world? Why did an angel force a donkey off a road? Who did the angels get out of jail twice? Young listeners will find answers to these and other questions in this exciting audiobook, written by bestselling author Allia Zobel Nolan. 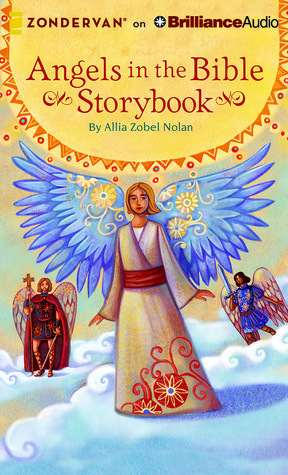 Angels in the Bible Storybook gives children a fascinating look into how God’s powerful behind-the-scenes helpers interacted with Bible greats from Abraham, Lot, and Gideon to Zechariah, Mary, and Jesus himself, acting as messengers, protectors, warriors, and more. Cassandra's Review- A great book of stories that are selected right from the biggest book of blessed stories the Bible. If you enjoy expressing the thought of angels to your children this is perfect. The illustrations are amazing and very colorful. My family loves having books read outloud and this is a great bedtime book as it can quiet down a child and let them dream of angels.